Local entrepreneur Bob was not always interested in the weed business. With an education in the sciences, he spent the earlier part of his career life in nursing, but a shifting economy made a future in healthcare seem financially uncertain, so he began looking for an alternative, even if it meant risking his freedom. Bob, who asked to conceal his identity for fear of arrest, has been growing and selling medical marijuana for eight years in an area known as the Emerald Triangle—a clustering of Mendocino, Trinity and Humboldt counties in the northwestern part of California—where the cannabis business has been thriving for years. An opportunity presented itself when Bob visited a friend near Mendocino and was given a convincing firsthand look at the cash crop business that had turned his comrade into a success in less than a year. Transitioning into the farming environment was a relatively simple process, Bob said. Acquiring land was easy, but the looming fear of getting caught was something he would have to overcome. Statistically, high demand for illegal substances paired with high profit margins has created an increase in new distributors without reducing the average retail cost, despite law enforcement attempts to seize drug trafficking efforts. According to the most recent World Drug Report from the United Nations, the retail market value of illegal drugs is more than $320 billion annually. With no tax documentation, tracking illegal income can be challenging in an underground economy. Bob suggested that there might be significant miscalculations of the actual dollar amount versus the governmental reports, which estimate $100 million a year in marijuana revenue in the Emerald Triangle. One of Bob’s employees, who also asked to conceal his identity for fear of legal repercussion, said he worked on the farm during harvest last winter for two months. He said 10-hour days for seven days a week earned him a total of $8,000 for his efforts, which roughly calculates to $14.29 an hour, well above California’s current minimum wage. Additionally, all food, alcohol and housing was provided. The employee admitted his situation was better than average. He said many harvest environments are far more severe, where employees are mistreated, left to live in tents, rarely having access to heated water, and responsible for their own meals during the entire harvest months. With changing opinions around marijuana use and legalization, people who were previously afraid to grow are now getting into the business. Bob said this flooding of the market has introduced different growing strategies that are producing lower quality product, and what would have sold for approximately $3,200 a pound seven years ago is now earning $1,700 to $2,000 a pound when sold to legitimate marijuana dispensaries. 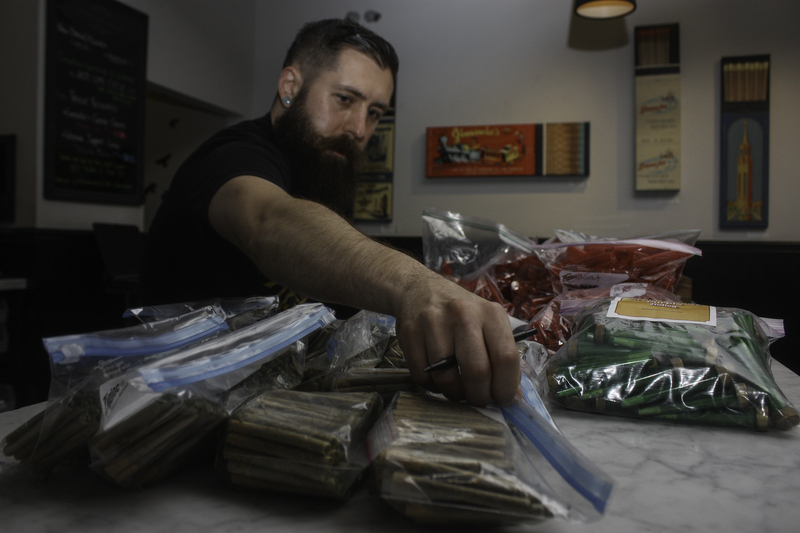 Chase Chambers is general manager and managing director at The Apothecarium, a licensed, full-service medical marijuana dispensary in San Francisco’s Castro district. As a member of the Merchant Association, The Apothecarium has helped other community businesses and given back to charities and other local non profits in the neighborhood. In the state of California, every medical cannabis dispensary must operate as a non-profit collective as part of the legislative structure put in place under approved Proposition 215 and Senate Bill 420. Members of the collective include not only patrons and staff members, but also the suppliers who grow the wide variety of marijuana plants. The Apothecarium’s non-profit status requires that all financial transactions are treated as suggested donations, but they still want to compensate collective members fairly for their efforts, said Chambers. Chambers said even since its beginning days as a collective, The Apothecarium has compensated its working staff well above the city’s minimum wage. Even with the proposed wage hike, said to take effect over the course of three years, the collective’s starting pay rate will still be above compliance, he said. “I appreciate working for a company that rewards performance and gives members initiative to do more, assert themselves into the company and help it grow in a positive way, like they have options to create something of their own,” said Chambers, whose experience as a retail supervisor taught him the importance of paying a good wage, even when it poses a challenge. Barrett Thayer has worked as a patient consultant for The Apothecarium for three months. 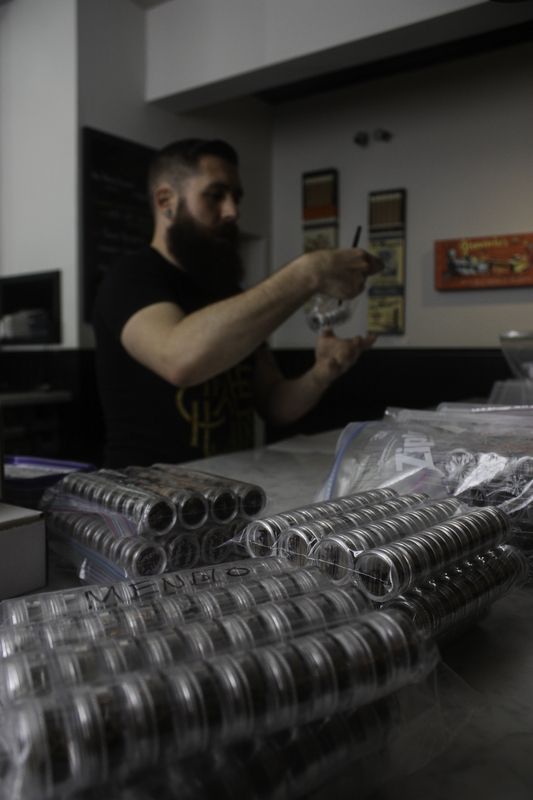 He said that working in the cannabis industry is highly rewarding. “Every day I get to provide natural pain relief to patients who haven’t been pain free in decades,” Thayer said. Thayer said he does not believe many minimum wage employees will be able to afford living in San Francisco if prices continue to elevate. With more opportunity and options now available in the cannabis business, many consumers now seek quality over convenience. In an effort to reduce impact on the environment, many growers are taking sides on how to produce the best product. A self-proclaimed weed snob, undocumented grower Bob prides himself on organic outdoor growing. His most recent harvest produced plants that were 14 feet both in height and width, all without the use of pesticides or chemicals, which he said are often a standard for plants produced in laboratories. “Growing indoor has an incredible carbon footprint that is atrocious for the environment,” said Bob, who said that forcing plants to grow unnaturally changes the quality of the product. According to Bob, one marijuana joint grown indoor requires the electricity used by one 100-watt light bulb for 12 hours. He also said indoor plants are prone to certain types of mold and insects, requiring hazardous chemicals to be implemented into the production. Regardless of growth practices, supply of and demand for marijuana have created competition among the neighboring farmers, which can get awkward at times, especially if friendships have been established, Bob said. Bob said he hopes to shift away from the black market business and supports the direction marijuana legalization seems to be heading on a national level. Many drug legalization proponents, like Bob, draw parallels between the illegal drug trade and the prohibition of alcohol in the U.S. in the 1920s, and foresee a necessity for change in today’s changing economy. This entry was posted on August 11, 2014 by skettios99.